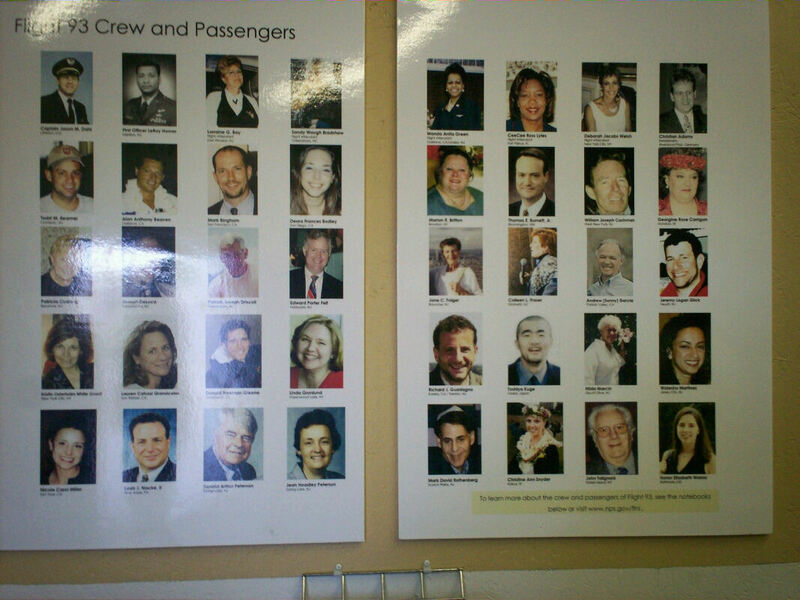 Our 2011 Road Trip #27: Sacrifice-That-Was and Salute-That-Would-Be « Midlife Crisis Crossover! 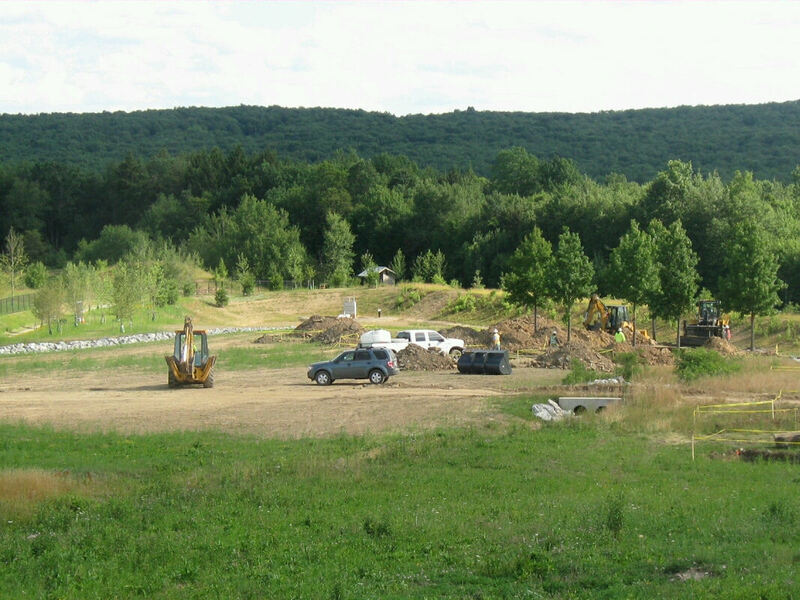 Once it was an unassuming plain owned by a local coal company. Fate would turn it into something else entirely. Our next hotel was only a few hours from Weehawken in the town of Somerset, PA, but offered us grand luxuries that our previous hotel had denied us — free cookies, free coffee in the lobby, free stale popcorn, and (in a hotel first for us) an extravagant lap desk to use with our laptop. We settled in by the end of the afternoon, then walked away from all the amenities for something more important. 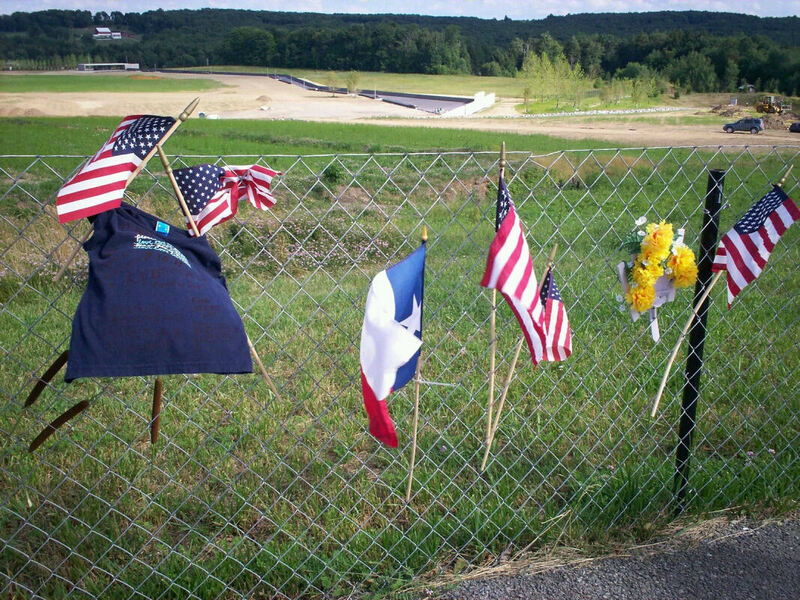 We got right back in the car, headed north of the town of Shanksville, and paid a visit to the local must-see: the crash site of United 93. By this time we were far from New York City, but no less connected to it by heart-rending 21st-century history. 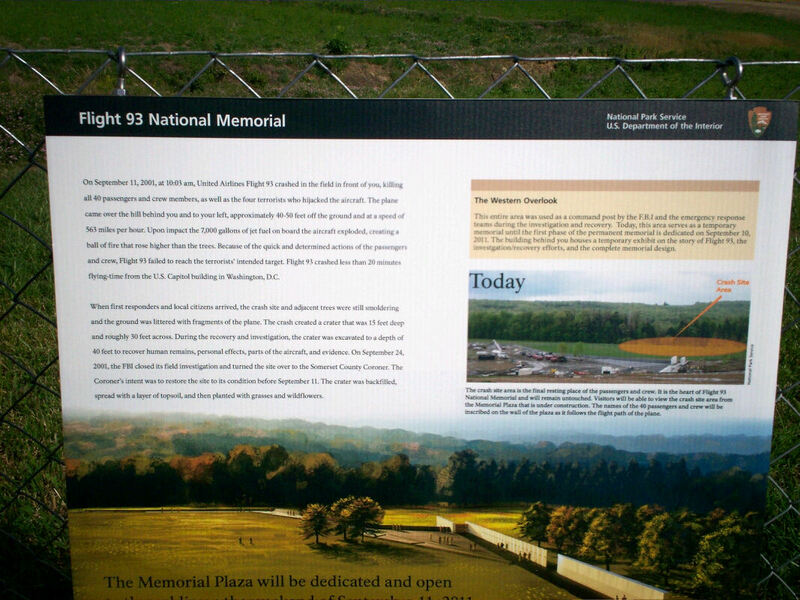 As with half of New York, the future Flight 93 National Memorial was still under construction — permanent fixtures, tributes, and amenities forthcoming in the years ahead. 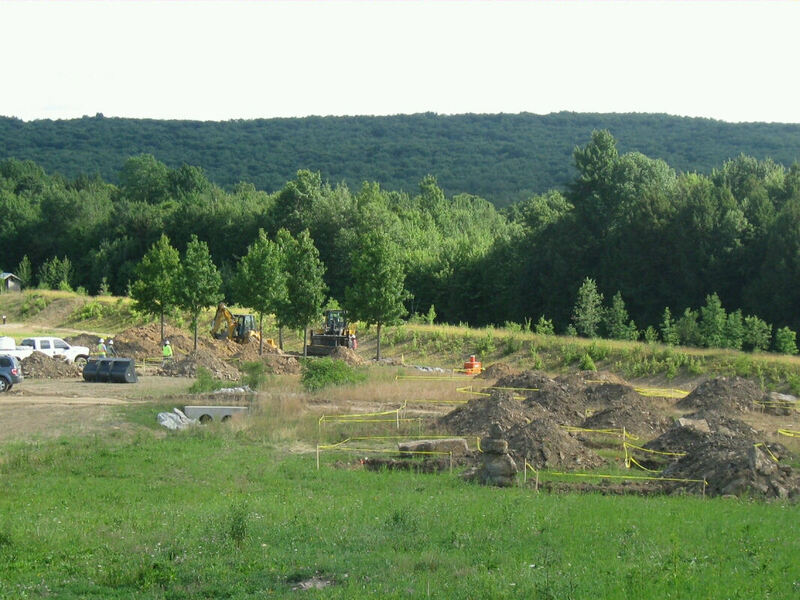 The original crater was fifteen feet deep, but was excavated down to forty feet for recovery and evidence gathering, then refilled at the order of the Somerset County Coroner. We panned from left to right and tried to take it all in. We onlookers were kept behind a chain-link fence hundreds of yards away for the time being until the construction would take on more meaningful shapes. 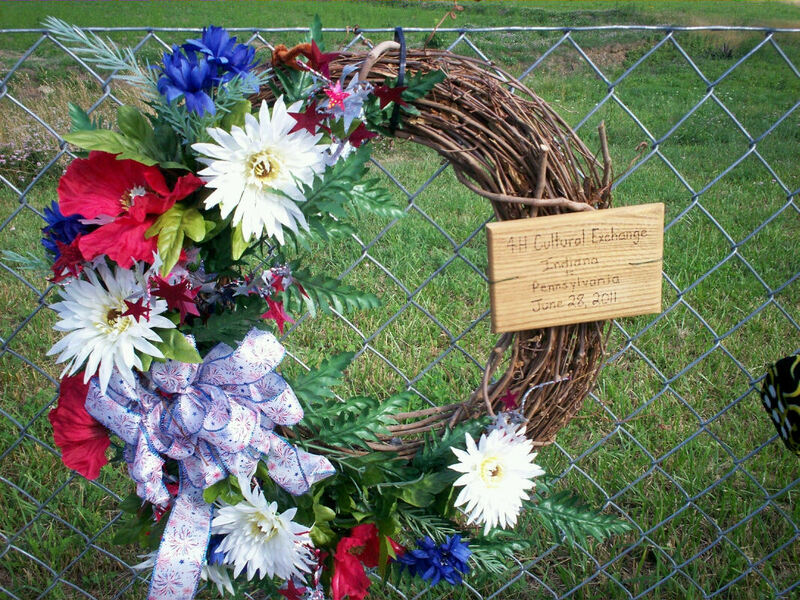 Tributes and mementos decorated the length of the fence, years’ worth of visitors’ gifts. 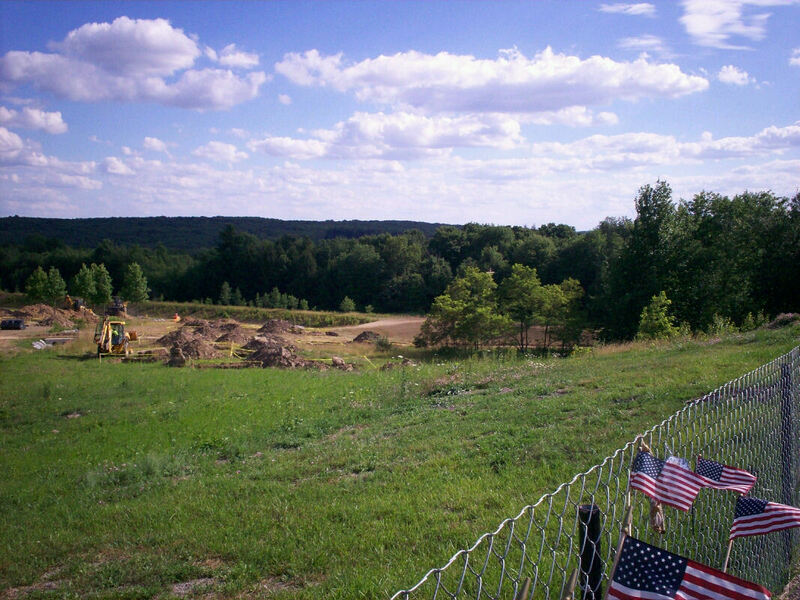 Two months after our trip, President Barack Obama would dedicate the completed Phase 1 on September 10, 2011. 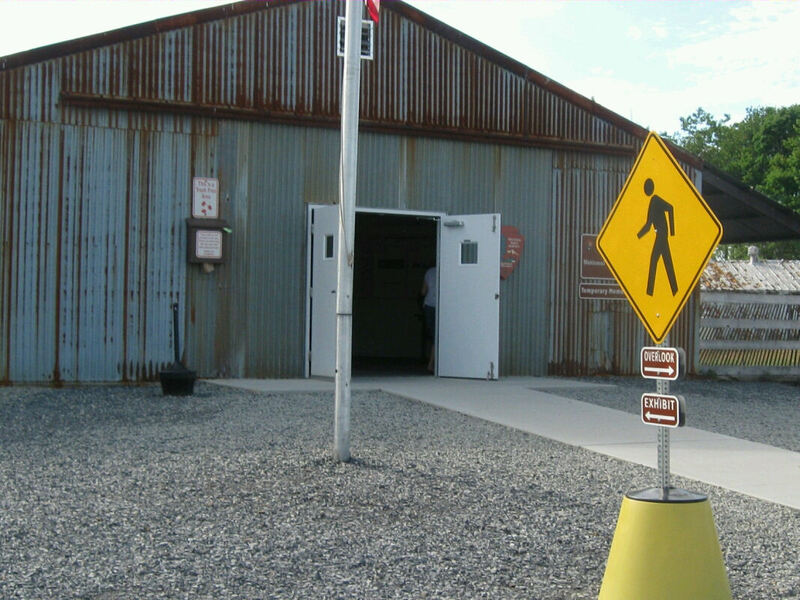 Until then, the visitors center was a long gravel roadway leading to the same temporary shelter that had served as the FBI’s investigative HQ back in 2001. The temporary visitor center wasn’t packed wall-to-wall. 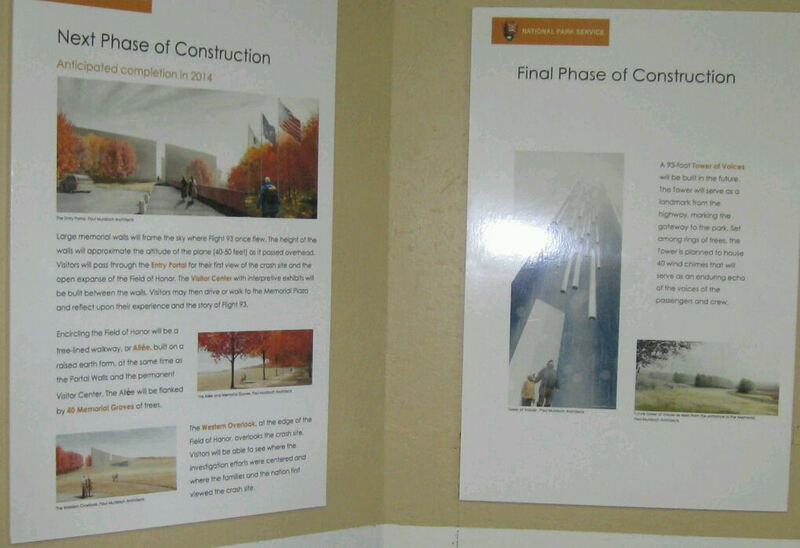 It housed a selection of homemade memorials, charts, graphs, and professional-quality museum placards in poster form. Spoilers and teaser images for the visitor center and exhibits in store once everything came together. Forty reasons why we’re even here. Why any of this matters and should always matter. 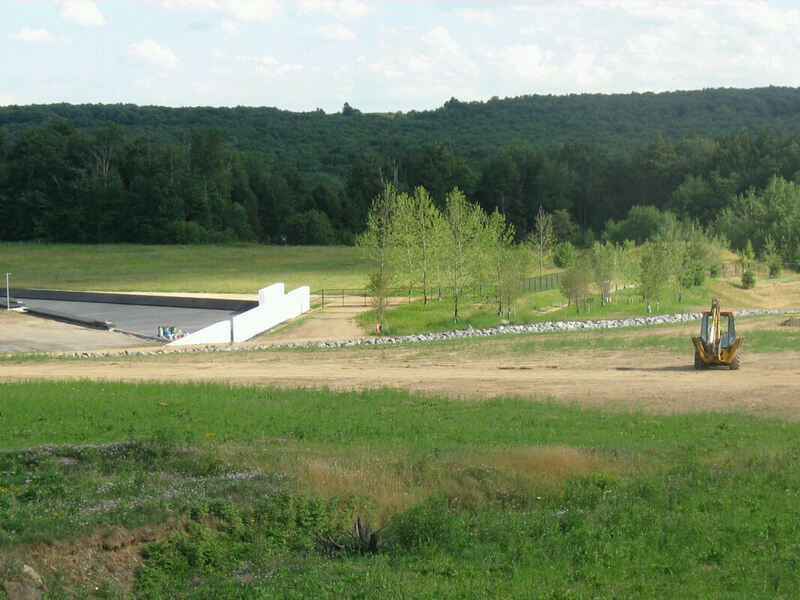 If it hadn’t been for the desperate teamwork and heroic intervention of those aboard United 93, or if they’d pushed and pulled the control sticks in different directions, somewhere else in America would have played host for this memorial. Somewhere less pastoral, or more populated. Near a body of water, or in the middle of suburbia. Surrounded by forest, or atop the ruins of another complex. 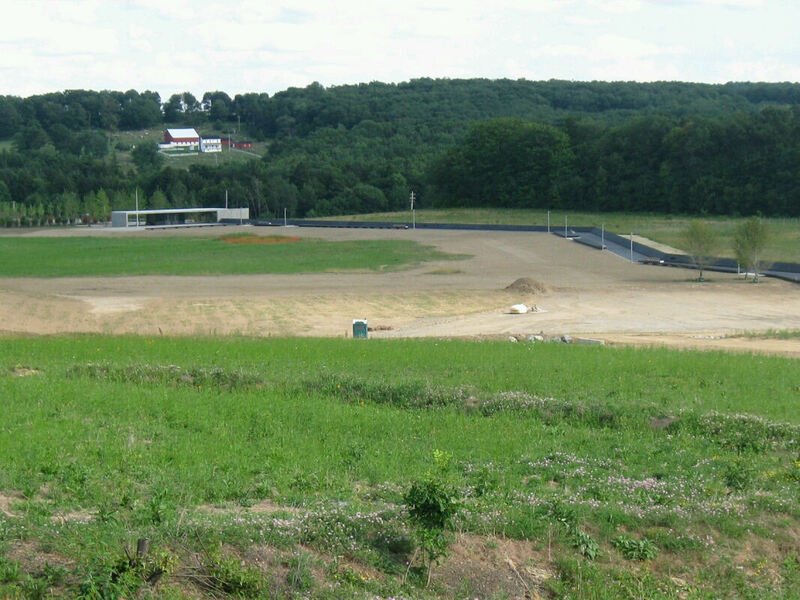 Regardless of what could have been or should never have been, this is what was, soon to make way for what would be. 1. 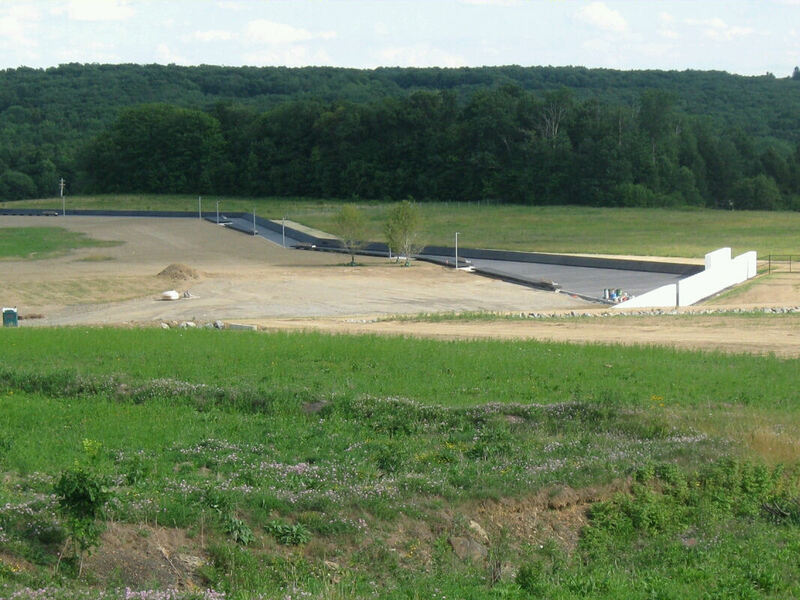 The official Flight 93 National Memorial Visitor Center opened four years later on September 10, 2015. Had our 2016 vacation been a road trip, an encore visit to view the finished work was high on the to-do list. When we decided to fly into NYC instead, it regrettably became an instant outtake. We hope someday to rectify that omission.